May we see Thy tender face? Infant in this humble place. Broken heart and bended knee. Bid our souls to rest in Thee. Come to us to rule and reign. Light of morning from the East. Dry our tears, all weeping cease! Savior of the World: His Birth and Resurrection was written and composed under the direction of the First Presidency and the Quorum of the Twelve Apostles of The Church of Jesus Christ of Latter-day Saints. © 2003 IRI. All rights reserved. 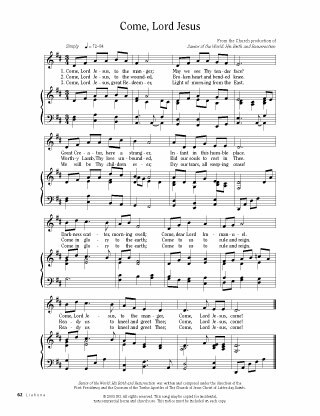 This song may be copied for incidental, noncommercial home or church use. This notice must be included on each copy.